Team BCU Awards is an end of year event where we celebrate the hard work, successes and achievements of all of our student groups over the past year! Members Of The Year Category! The winning committee of this award must be ambitious in their activities and have courage to put them into practice. They should make an effort to encourage new members to join throughout the year and run at least two events which are opened up to the wider BCU community. Throughout it all, the committee are an inspiration to others. * Nominations for this award will be put forward by your Student Group Coordinator. The winning committee of this award should always be thinking about the long term (not short term) so that they can develop their group, even beyond their time on committee. They should hold events and activities that will provide lasting benefits to their members and they should run their group in a way that ensures the group can continue for future years. The winning committee of this award should be amazing at communicating with their members and the SU, to ensure their members are engaged and the group is active. They should communicate in a timely manner, respond proactively to member's feedback, and use a combination of communication methods to advertise their activity. The winning committee of this award will have worked extremely well as a team and will have collaborated well with other groups. This could be a joint campaign/event with another TeamBCU sport or society, a University/Students' Union department or even another group external of BCU. They could also be actively involved with Students' Union campaigns, such as This Girl Can, Black History Month or Go Green Week. The winning committee of this award should actively create a sense of belonging for their members and encourage a diverse range of students to join their group. This could be through hosting inclusive events and activities on campus, or even in the wider community. * Society and Sport Club members will need to be nominated for these awards by other students, with an explanation of why they should win this award. You cannot nominate yourself for this award. Nominate by clicking on the award below. Please specify any dietary requirements when ordering your meal i.e. gluten free, dairy free, vegan, allergies etc. Considering attending but have a few queries? You may find the answers you're looking for below! 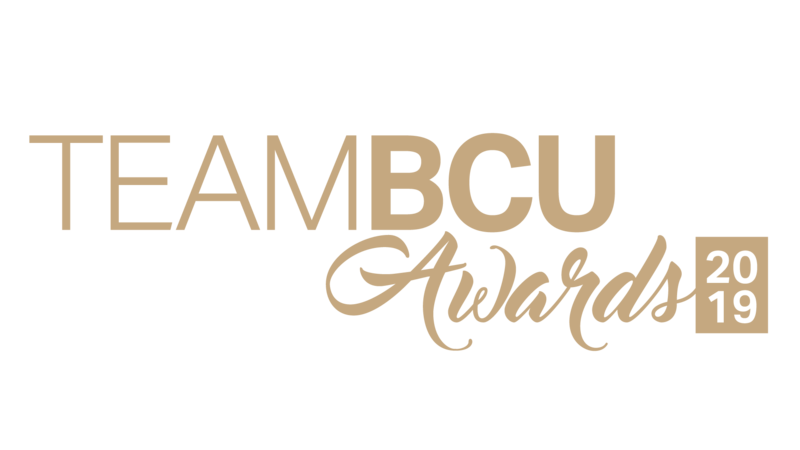 Who can attend the TeamBCU Awards? This prestigious event can be attended by all Birmingham City University students. Who can put forward a nominee to receive an award? Anyone! You could be a fellow student, staff member, university staff member, coach, employer etc.